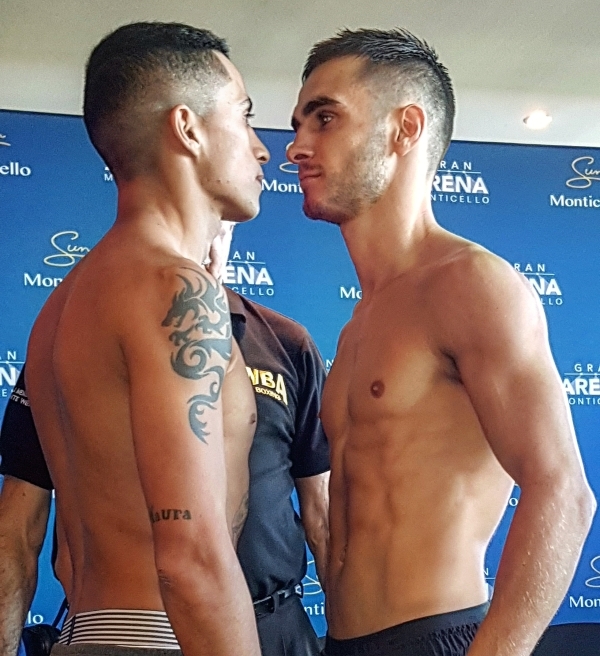 Andrew Moloney and Miguel Gonzalez successfully weighed in beneath the Super Flyweight limit as the pair prepare to clash this evening in a WBA World Super Flyweight Eliminator in San Francisco de Mostazal. The pair successfully came in under the 115lbs (52kg) limit and now the pair set their sights on taking a step closer to a WBA World title bout. Moloney, who has spent the majority of his camp in his native Australia, opened up on how preparations had gone prior to tomorrow nights showdown. Moloney said, "I feel great, I've had made weight properly and I have had a fantastic camp for this fight, possibly the best camp I've had in the professionals. "Travelling to Chile hasn't been a problem, and if any of their confidence has been based around that then they should be extremely worried because you can expect a career-best Anthony Moloney tomorrow evening." The Monster continued, "We are not overlooking the task in hand, but once I beat Gonzalez we want Kal Yafai next. I want to prove I am the best Super Flyweight on the planet and I believe by beating Gonzalez and then Yafai, people will take note that I am." Moloney's manager Tony Tolj gave his take on the March 22 clash in Chile, "This is not an easy fight for Andrew but I am very confident that he is going to win and win in style. "Andrew and his brother Jason are two very special fighters and I consider the pair undefeated. It is going to take a very special fighter to produce a special performance to beat either one of these. I fully expect the pair of them to become world champions in 2019."